WASHINGTON CITY — A collision between two pickup trucks at 1150 W. Red Hills Parkway Wednesday resulted in both vehicles being towed from the scene and a citation issued to one of the drivers. A Washington City Fire Department crew witnessed the accident and were on scene almost immediately. 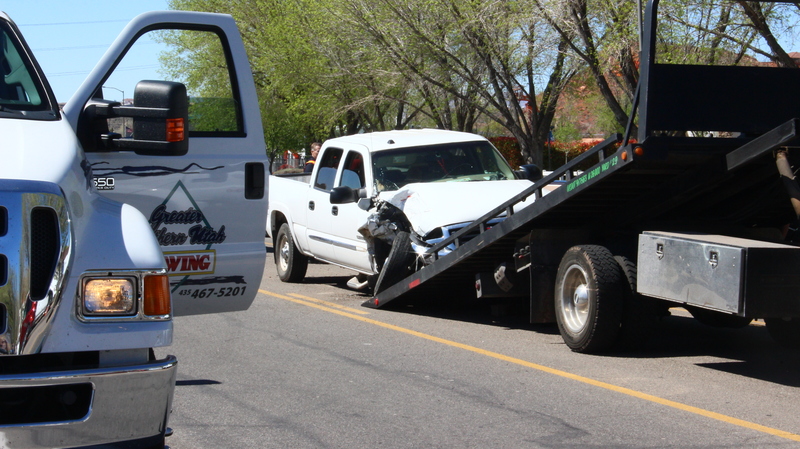 The GMC was driven by an adult male with no passengers and the Toyota was driven by an adult male with two passengers. Airbags were not deployed in either vehicle. No injuries were reported, Kantor said. The driver of the GMC was issued a citation for following too closely. Washington City Police Department and Washington City Fire and Emergency Services responded to the incident.